Sometimes we forget we’re in Sicily. But the smell of coffee and the sweet melody when people speak remind us that we’re here, in Barcellona Pozzo di Gotto. Working and learning. Just living. It’s Tuesday, 3:30 p.m, in EprojectConsult, it’s possible to hear the keyboards sound, we love that sound. Employees are typing in the office. We also speak to each other in Italian or English. It just made us realised how lucky we’re. In fact, this is a great opportunity to improve ourselves in knowing another culture and practising languages. Now we are hosting organization of a Spanish group. They are seven full of life young people, keen to improve, learn and discover other cultures, languages and awesome places. They feel this Spanish group as a little family. From left to right: Rocío Domínguez Sánchez, Daniel Pedreño Casas, Roberto C. López Rodríguez, María José Sacaluga Cornejo, Desirée Di Nitto Parada, Up: Elio Cerón Abad. Down: Alejandro Páez Benítez. This programme is a great opportunity to improve both professionally and personally, and also enables the knowledge of other cultures besides positive intercultural relationships among them”. I have lived abroad several times and with the Leonardo Programme I have also had the opportunity to live in Italy. Meeting people is very easy in Barcellona Pozzo di Gotto, because they are very outgoing. Sicilian are open minded about foreign people. You depend on the public transport to live a diversity cultural activities because Barcellona Pozzo di Gotto is a little town; for example, it only has a cinema”. I`m learning a lot of italian language and knowing the Sicilian family’s daily routine. I miss my family and friends. I realise I depend on others who take care of me”. It’s a perfect daily coexistence experience and a great opportunity to learn about the Sicilian companies daily work. People who love are far and I couldn’t eat traditional Spanish food, However, it’s a good way to taste local food”. Our colleagues are very friendly. We have to buy expensive bus tickets to arrive at work”. We love our daily work. I feel as at home in Sicily. Learning about another culture it’s a treasure for me. I’m improving my language skills and meeting very interesting people. I miss the most important persons for me”. Leonardo Spanish trainees celebrating a birthday at home. 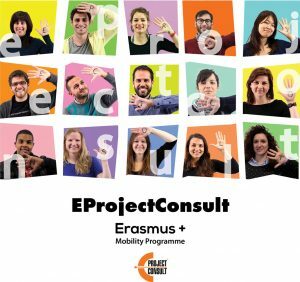 Leonardo Programme, now included under the frame of Erasmus+ Key Action KA1, is really one of the best ways to develop yourself professionally and personally.